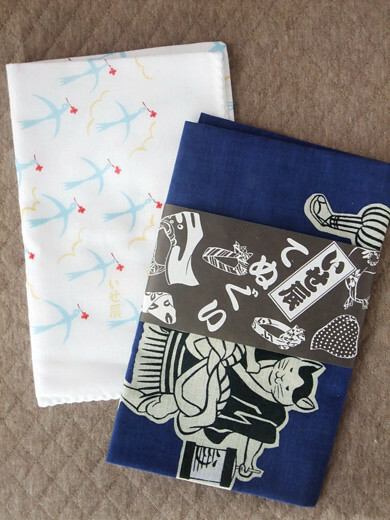 Isetatsu is a shop from Edo era, there’s so many beautiful wood-printing papers, chiyogami, paper toys, and Japanese pattern goods. 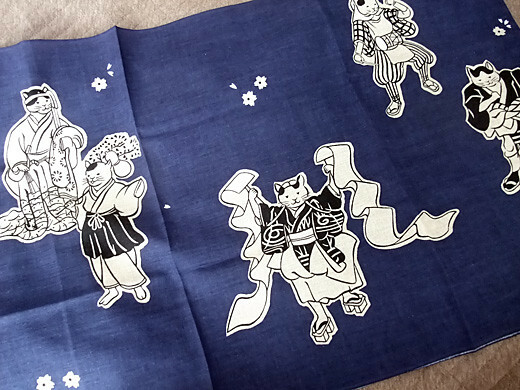 I love their cute Omocha-e (Ukiyoe for kids in Edo era) series, especially cats ones. 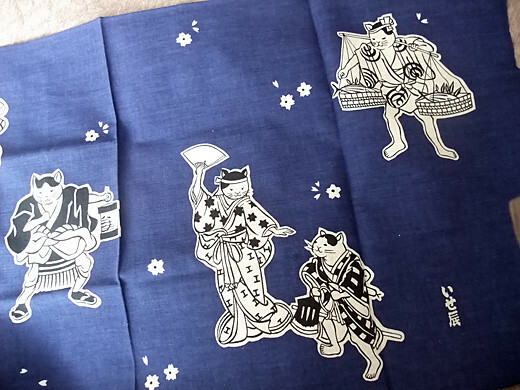 All of the cats are working and dancing on Tenugui!